It was made with sewing thread (colour match to DMC embroidery floss No.3852) and 0.50 mm crochet hook. It measures 12 cm (4 3/4 inches) in diameter. This beautiful handmade miniature textured doily will add a special touch to your home or as a wedding/special gift. It is very light and airy and not suitable for everyday use. 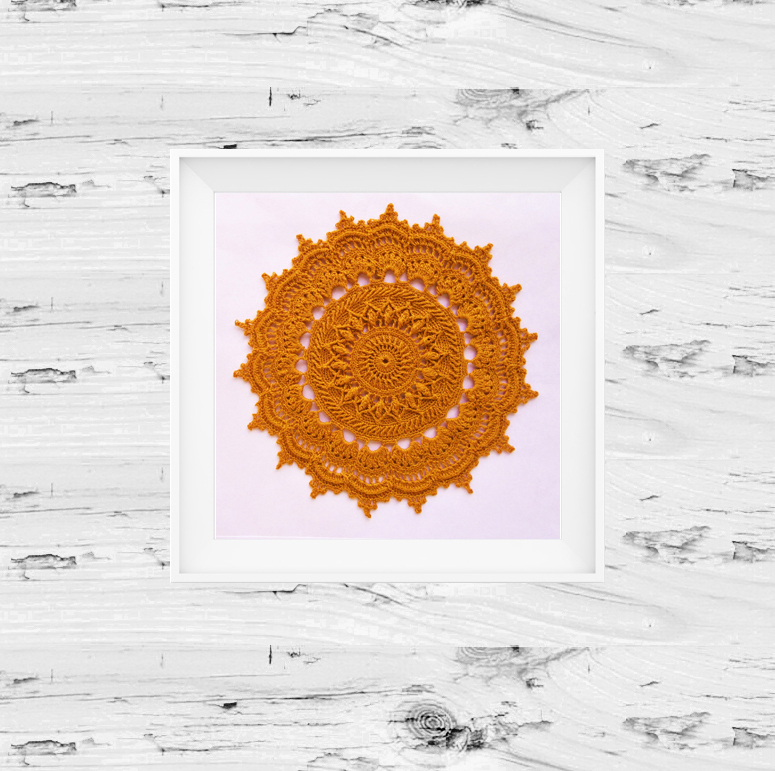 Frame it for beautiful lace wall art.